Like most kids his age, Auro doesn't want his friends to see his mum dropping him off at school. He's not very fond of girls, and most of his jokes involve the potty and what you place on it. In fact, he seems so obsessed with that particular body part he's nicknamed his grandma 'Bum', because she's got a big one. Auro, of course, is the protagonist of director R Balki's Paa. He's your average mischievous 12-year-old, except for the fact that he has progeria, a rare medical condition that accelerates the ageing process. So although he's only stepping into his teens, Auro has the body of a 65-year-old. In what can be best described as a casting masterstroke, Amitabh Bachchan steps into the (relatively) small shoes of Auro. Contrary to what the film's marketing conveys, Paa is actually a mother-son story. Vidya Balan plays single-mum Vidya, who raises Auro with some help from her mother, after dumping her selfish boyfriend in college, when he suggests an abortion. Amol (played by Abhishek Bachchan) is not ready for marriage; he is keen to follow his father into politics. Years later, Amol, who is now a Member of Parliament, accidentally meets Auro at a school event, both oblivious to the fact that they are father and son. Much in the same vein as the director's previous film Cheeni Kum, the first half of Paa unfolds breezily, with witty dialogue and clever scenes used effectively to establish the characters and their relationships. Steering clear of pity, even in delicate scenes, Balki avoids the obvious pitfalls that come with stories about characters suffering from grim conditions. There is however, one major speed-bump before intermission, a track in which the young politician Amol launches into a verbal attack on the media. It sticks out in the film because that scenario is so amateurishly scripted and comes off looking embarrassingly self-righteous. There are more problems in the film's second half when the tone suddenly turns exceedingly manipulative, and several scenes are stretched unnecessarily like the one in a Delhi metro where Auro questions Amol about the futility of having bodyguards. Despite these hiccups, Paa is ultimately an engaging film because of its largely original writing. One of the best scenes in the film is a hilarious telephone conversation between Auro and a classmate of his, in which the latter explains just how frustrated he is with his father. Most scenes, in fact, between Auro and his buddies at school are a pleasure to watch because of the natural performances Balki is able to derive from his child actors. Of the cast Arundhati Naag is endearingly warm as Auro's feisty grandmum, and Pratik Katare gets his timing spot-on as Auro's best friend Vishnu. Abhishek Bachchan is a tad smug as the new-gen politician, and tries a little too hard to force the 'coolness' down our throats. In the end, Paa belongs to mother and son. Vidya Balan delivers her best work since Parineeta, emerging the emotional soul of this film with a graceful, restrained performance that she constructs with minimal help from the script. She strikes up a warm maternal chemistry with Auro and her scenes with him are the film's most heart-felt. The centerpiece of the action, of course, is Amitabh Bachchan. Under that excellent prosthetic make-up, his baritone replaced by a childish squeaky voice, Bachchan becomes Auro. There is no trace of the legendary 68-year-old star; what you get is a pitch-perfect performance as a gawky but spirited teenager. PC Sreeram's dazzling cinematography and Illayraja's soothing score help make up for many of the script's flaws, and ultimately contribute to making Paa an easy, enjoyable watch. I'm going with three out of five for director R Balki's Paa. Few filmmakers stick their necks out to tell difficult and different stories in these days of mindless entertainers making potloads of money. For their intentions alone, the makers of Paa deserve a thumbs-up. Big B will appear in a phenominal look, which is sure to drag many viewers to the theatre. Movie lovers are quite excited to watch both father (Amitabh) and son (Abishek) in the same movie. 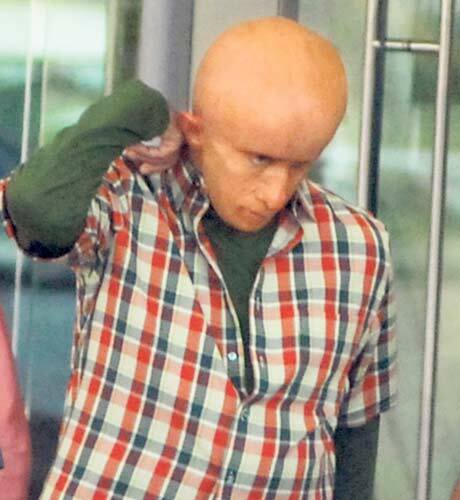 The story is about a 13 year old boy who suffers from Progeria a terminal disease. A deep research has been done about this disease. Kids affected by this problem become bald and their veins are shown prominently on their heads which enlarge to a size beyond normal. Their teeth and eyes are also affected because of this disease. Big B has to stick many pieces of clay to get the exact look on his face and spent more than 4 hours for make up and cannot eat or drink once the make up is done and also shaved off the hair on his head and hands so that the veins will be clearly seen. It is also that he cannot move even an inch once the make is done. Stephen Dupuis who did Robin William`s make up in Mrs.Doubtfire has been roped in as a make up artiste to give a phenomenal look to Big B. The music of the film is turning out to be a chartbuster; so who is the music composer? Well, the less said the better for this man who has more than 900 films to his credit till now - maestro Ilayaraja is the composer of memorable tunes of ‘Paa’ while lyrics are penned by poet-musician Swanand Kirkire. The album’s first song is a euphonious number, Mudhi Mudhi Ittefaq Se, in the voice of Shilpa Rao, though the only disappointment is that it’s a short musical piece and runs hardly for three minutes. You shift to Shilpa’s gear and by the time you start enjoying the ride, the song ends. Bah! After a melodious track, the album takes you into the world of kids with Halke Se Bole, undoubtedly a situational track with thought-provoking lyrics. Hichki Hichki comes next and the song sounds like another situational track sung by Sunidhi Chauhan. However, the album’s melodious strain continues without a hichki.